Canine arthritis can be a dog’s worst nightmare. Do you know what pain looks like in your dog? Can you describe it so your vet understands the situation? There are subtle signs you might be missing. Arthritis is often stealthy, sneaking up on you, little by little, until you notice your dog is having trouble with stairs or has lost interest in chasing the ball. By this time, pain has been making inroads in your dog’s daily life. Are you waiting too long to get treatment? How can you better observe and report changes in your dog? These questions and many more are answered in our podcast with Drs Apryl Steele and Karyn Fein, Certified Canine Rehabilitation Therapist. We intuitively know that prevention is the best pathway to a healthy quality of life. Prevention starts at the beginning, wherever that may be for you. Don’t give up hope if you’ve adopted an eight-year-old dog! If your dog has been diagnosed with arthritis, and can’t move or walk very far, there are therapies that can be used in combination to reverse these effects. We’ll touch on this in the next section, and you’ll find a detailed explanation in the podcast. Food, supplements, weight control and consistent exercise are all part of prevention. Make sure your dog is getting enough protein and they keep a trim profile. Lean pets live longer as evidenced by a lifetime diet restriction study proving the point. Young pups joints should not be overburdened with heavy-duty exercise, like agility. Their bones, joints, and cartilage are not ready to be used as required by that sport. The bigger the dog the longer it takes for development to occur, so have the conversation on what’s age and health appropriate to your dog with your vet. If in doubt, call the veterinarian before engaging in any special exercise program. Therapeutic ultrasound, cold laser, manual therapy by a trained physical therapist or vet, chiropractic adjustments, post electromagnetic field therapy, neutraceuticals like glucosamine and its injectable form, reiki, hydrotherapy, pharmaceuticals, and more are discussed during the podcast. Dr. Steele also talks about what works for our cat friends. Reversing the effects of canine arthritis is possible, even in advanced cases. Range of motion exercises relieves pain and can be taught by your vet or a canine therapist. In a few months of this hands-on therapy, you can take a dog with many joint problems and severe arthritis in the spine from half-a-block walks, to hiking for a couple of miles with the family. Dr Fein shares this patient case with us. Can you really reverse arthritis? I had thought that arthritis was a chronic condition and while there are steps you can take to remedy it, and relieve pain, it never fully "disappears" or is "cured". I have a husky who was diagnosed with hip dysplasia, we got him from the pound so we couldn't have started him on joint supplements from when he was a puppy otherwise we would have done so. The hip dysplasia as the years have gone by, has turned into a mild arthritis (something that as I understand, is relatively common). We're now giving him all natural supplements to promote his healthy joints, and we use an Ortocanis dog hip brace that our vet had recommended for increasing his stability and support and reducing pain. The supplements made a noticeable difference when we started giving them to him, and the Ortocanis brace also had a noticeable effect on his stiffness/limping. I wouldn't dare to say he's "cured", but I would say that it's under control and we're managing it just fine. @KarlBacco Absolutely you could. Taking it literally: arthritis = inflammation of the joints, not irreversible in itself at all; chronic = ongoing for a long time, also not irreversible in itself at all either. It is also termed degenerative and/or progressive, again, not irreversible in itself. The only thing that cannot go away without being removed would be bone spurs. Everything else could theoretically be fixed and reversed. Whether we're really there yet is another story but many things do indeed help. 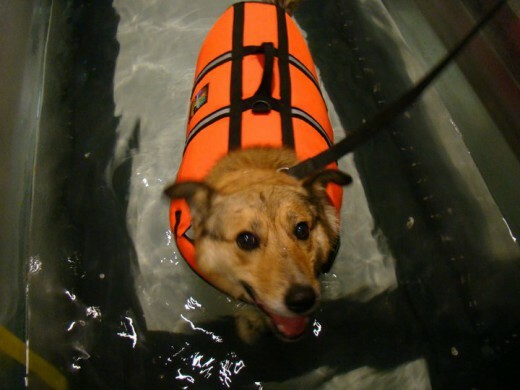 @dancingdogblog How pawesome that there are ways to reverse the effects of arthritis in dogs! @dancingdogblog This was such an informative post. I can't wait to listen ! I LOVE new info like this :) Thank you !!! We tried it all. Don't forget some really cutting edge such as stem cell therapy or platelet-rich plasma therapy. Those to me are the biggest guns in treating arthritis. Interestingly, just recently I heard that with some breeds the dogs should be put on joint supplement from puppyhood. While I can see the point, I can't help but wonder whether this is something they would need with "appropriate" nutrition. And is what we feed our dogs one of the major reasons arthritis is so wide-spread. I think because the cost ($2500) is out of reach for many pet parents, often non-specialist vets don't have the opportunity to use it in any significant numbers. It's unfortunate that the only 2 studies on stem cell therapy are by the makers of the injectable with only 35 participants in both studies. Not good. And all the dogs were also on anti-inflammatory meds. Also not good. And the duration was only 180 days. I think there's fantastic hope for the future of stem cell therapy, and reportedly many good anecdotal reports from users according to Vet-Stem's website. As you probably know, I think the quality of food fed from puppyhood plays a vital role in setting your pet up for a healthy life. To your other point, I can imagine these unnaturally tiny teacup dogs are involved in the joint supplement prescription you mentioned since they often have terrible structural problems from the start according to reports from DVMs, but I've not looked into that in any significant way. Thanks for stopping by! Our vet in Fergus has done both, stem cell therapy and platelet-rich plasma therapy. He added the PRP mostly because there are less logistics (at least here in Canada) and it's cheaper. Jasmine had stem cell therapy, she was not on antiinflammatories because her system wouldn't tolerate them. We were very happy with what the stem cells did for her. With the food I don't mean only good quality but also the content. Natural prey type diet would contain goodies such as cartilage and connective tissue, which make the base of a joint supplement. I wonder whether feeding dogs that instead mostly starch kibble would be all that is needed. @DawgBlogger To me, good quality food means good content, there's no parsing the two. I don't know that there are any studies showing food as an intervention medium changes structural issues in the body post development, but that would be interesting.There are brands who incorporate bone and cartilage in the duck, lamb, chicken meal they produce for their kibbles, like Petcurean, while excluding the feathers, entrails and other things most dog parents don't want to even think could be in their dog's food. But yes, I take your point, Jana. If these practices in pet food were everywhere, what would we see? Excellent post and podcast, Mary! A good friend of mine has her Husky receiving alternative and cutting edge therapies for arthritis treatment, and I also use laser therapy and vitamin supplements for my two with arthritis. Hearing about the changes and early signs is quite helpful and hearing about reversing it is very inspiring. Sharing this great and informative post! Arthritis is a horrible disease in both humans and canines. I'm glad that there are better ways to manage it these days! This is a really great article. Having a senior dog I really worry about arthritis, but so far so good. I do give her a daily joint supplement and try to keep her at a good weight though! @MaureenWalshLake I know when we have senior dogs, we become fierce consumers of all the things that might happen so we can be prepared =) A joint supplement is a fine idea as is keeping excess weight off those bones. Glad you liked the post Maureen, and thanks for stopping by! This really hit home for me. My dog Laika was diagnosed with arthritis at age 3 in her hips and it's been a lot of trial and error since. A decent joint supplement, daily non-rigorous activities, and keeping her nice and lean seem to be doing the trick so far. I'll admit I was completely overwhelmed when the vet said arthritis - I was thinking there's no way I'm going to be able to keep her pain free, but finding the right combination of treatments has made everything so much better. Most days it's a non issue, we're keeping tabs on her activity to make sure we don't over do it, and that's been the biggest challenge so far, since she still has so much energy. Thank you so much for all the wonderful information, it's so important to know there are so many options available. Thanks for joining the conversation, Jen! Thanks for an informative article! Thankfully we haven't had a cat with arthritis yet, but we have friend whose young dog has arthritis and they're had a lot of relief using green-lipped mussel as a supplement. @Sweet Purrfections Yes, catching changes early, that's the best, before pain becomes an issue =) It's wonderful that we have so many tools to work with today. Thanks for adding to the conversation! As a dog mom who has had 2 dogs with arthritis and has successfully treated and managed it, this is a fantastic and well needed post and podcast. I'd love to do a podcast with you again sometime, Mary. Arthritis can be such a difficult disease. It can make you feel pretty helpless as a pet owner. I'm glad to hear that there are ways to prevent it and that treatments are available. My cats have not developed arthritis at this point. I hope they never do, but at least I have this knowledge in my tool chest. I make sure to keep Mr. N lean and he's been on a joint supplement for the last couple of months. I think when peoples' dogs are in pain, they stop activities altogether. My dog Puppy developed arthritis after an injury. While we initially stopped all activity, I realized it was important to continue with short walks and gradually extend the length of time, without overdoing it. It has helped her recovery tremendously and restrengthen her body. @DogGuyJosh That's exactly right Josh! It's so important to let things heal, then go forward with light exercise and increase over time, observing and reporting difficulties along the way =) Thanks for listening and adding to the discussion. 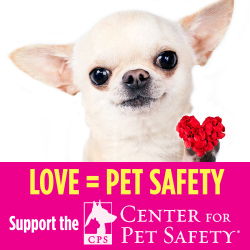 @petsarefound If you scroll over the above photo, you'll see the "pin-it" button, Annette =) Thanks for sharing! @petsarefound I'm so glad you found this of immediate use, Annette! I LOVE that =) Let us know what you decide to do and the results you get some months from now? Thanks for stopping by and adding to the conversation. Funnily enough I have been researching arthritis for myself as I have terrible issues- feet, hands, back, knees, shoulders, neck. Kilo the Pug is only 3 but I want to be prepared. The most common suggestions are as you mention: lose weight, use anti-inflammatories/pharmaceuticals, stop doing physical activities that put pressure on joints, do physio and swim or bike. The evidence for chondroitin and glucosamine is only anecdotal in humans so far. I am also looking at Stem cell research (several dogs and humans I know have done successfully but very expensive), PRP (platelets) and other injections, tumeric (some interesting studies but I find the taste difficult to do on a daily basis- also other natural products that reduce inflamation), diet (some friends found that cutting out certain foods like gluten reduced swelling). Love to hear other alternatives. At nine years old, Magic has started having some issues with leaping into the car. I've got him on Cosequin so far. Great discussion of options! I know he'd love the water therapy. @AmyShojai Glad to hear you did not wait to treat Magic, Amy -- smart lady =) It is amazing when you see just how many options we have today. Thanks for contributing here! With having giant breeds, this is something I'm always worried about. I'm glad to know of all the options available. Hopefully it's not something we have to worry about for a long time. It is truly amazing all the different therapies and treatments now available to our dogs and cats to relieve arthritis pain. My last dog Howie only needed Rimadyl but I have many friends who take their dogs for treatments like the ones you mentioned here and have great success. 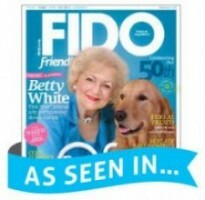 @JenniferSh It's a great boon to our dogs that there are some many treatments. Dogs are individuals, some tolerate pharmaceuticals well, others, not so much. I love the choices and therapies that can work in concert to improve the lives of dogs, especially in aging dogs -- you can see a whole new lease on life with the right treatment. Thanks for stopping by! Great information here! With our Doxie, Sadie, who went to the Rainbow Bridge last month, we used Dausaquin and Flexadin with great success. We saw great improvement in her mobility when we started the Dausaquin, but I wish we'd started it much sooner. Previous post: Getting Naked for Money, on Kickstarter! Next post: Pet Safety: How Safe Are Pet Products? Pet Insurance: What’s Best For Your Pet? Dancing Dog Blog by Mary Haight is licensed under a Creative Commons Attribution-NonCommercial-NoDerivs 3.0 Unported License.